"What we've been doing for a long time is focusing on our runtime: Flash. And because the HTML5 ecosystem wasn't really moving, we weren't doing a lot there," Gubbay says. "But over the last couple of years, there's been a tidal wave of change [with HTML], and as a result, as we've been listening to customers, we've committed to doing more in the browser." The company has also beefed up the HTML tools available with its Creative Suite, and now it is releasing an HTML animation tool to the public much earlier in the development process than it normally would. 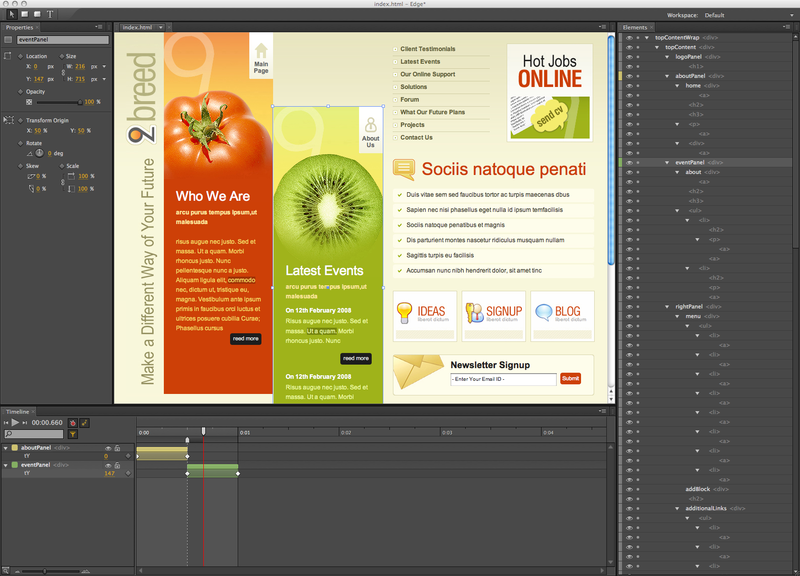 The Edge "public preview is available from the Adobe Labs site, and it's free of charge. Designers are encourages to provide feedback that may help shape future releases. The preview will be regularly updated."